A beach vacation isn't complete without a juicy beach read. We are currently spending the week in Rehoboth Beach, Delaware, and we have come armed with plenty of excellent reading material. 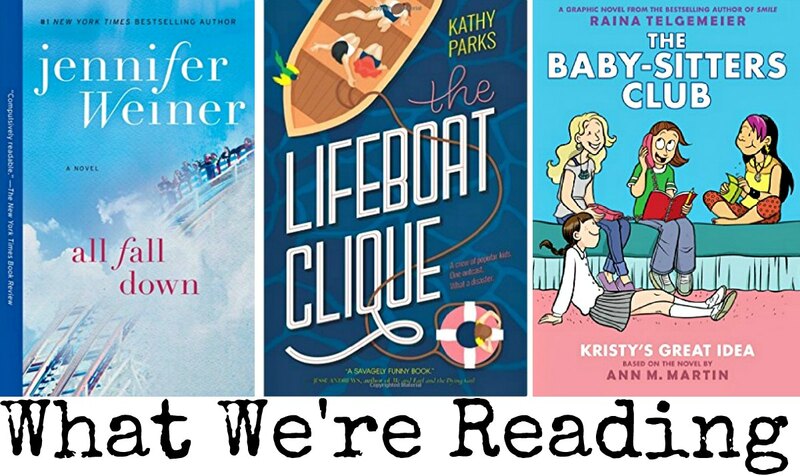 Here's what we are reading while we sink our toes into the sand. A woman who seemingly has it all: a handsome husband, adorable daughter, thriving career, also has a dark secret. Can popping a Vicodin be all that bad? This book follows one woman's spiral down a path of addiction only to find her way back up again. This novel has been described as Mean Girls meets The Life of Pi. It's filled with dark humor yet written in a fresh voice which makes for a very compelling and compulsive read. It's a story about surviving the most unthinkable circumstances (isn't that what teenagehood is all about?). The Babysitter's Club series follows four girls who navigate the daily trials and tribulations of being babysitters and dealing with their families, school, and more. They are always heartwarming stories with a lesson to be learned.